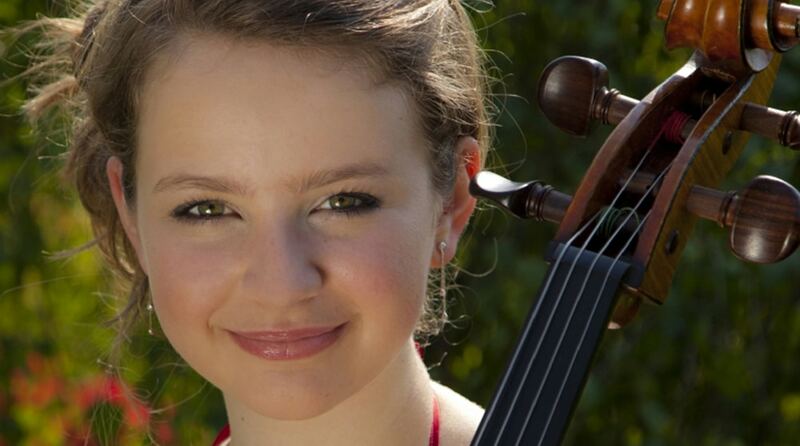 At the age of 15, cellist Laura van der Heijden was awarded the title of “BBC Young Musician 2012”, performing Walton’s Cello Concerto with Kirill Karabits and the Northern Sinfonia at The Sage, Gateshead. Born in England as the youngest daughter of a Dutch father and a Swiss mother, Laura’s musical studies started on recorder at the age of four. After learning with Marina Logie on cello, Laura had grade 8 distinctions on both cello and piano by the age of ten. In 2005 Laura joined the Junior Department of the Royal College of Music, where she learns piano with Emily Jeffrey and participates in many ensembles. Since 2008 Laura has been a student of the renowned British-Russian cellist Leonid Gorokhov. They are performing together in the UK and in Germany. In 2010 she won “Erster Preis mit Auszeichnung” (full marks) and a special prize in the final of the Swiss National Youth Music Competition, which led to her performing the Boccherini Cello Concerto in G with the Zurich Kammer Orchestra at the Zurich Tonhalle in January 2011. She was also the 2011 winner of the Marjorie Humby competition at the Royal College of Music, “2011 Beckenham Musician of the Year” and “2012 Woking Young Musician of the Year” and was awarded the 2012 Director’s Prize at RCM Junior Department. 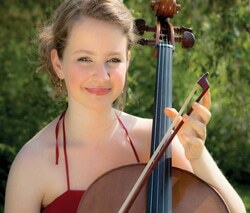 Laura’s first public performance as a cellist was at the age of 9 with the Jupiter Chamber Orchestra. Since then, she has given many recitals and played with various orchestras. Engagements this season include performances of Walton’s Cello Concerto with the Royal Philharmonic Orchestra (Cadogan Hall) and Guernsey Symphony Orchestra, Dvořák’s Cello Concerto with the Royal Philharmonic Orchestra and Colchester, Worthing and Woking Symphony Orchestras, alongside recitals with Huw Watkins, Alison Rhind and Martin Bartlett. Future engagements include performances of the Elgar Concerto with the Royal Philharmonic Orchestra (Royal Festival Hall) and the London Mozart Players, Haydn Concerto in C with the European Union Chamber Orchestra and the London Chamber Orchestra, performances of the Dvořák Concerto with the Arnhem Philharmonic Orchestra and the Saint-Saëns Cello Concerto in A minor with the English Chamber Orchestra. Laura lives in Sussex where she attends her local secondary school (Sackville in East Grinstead) and enjoys as much of a teenage social life as her commitment to music allows for. She plays a 1935 cello by Galileo Arcellaschi. Alison Rhind was educated at Chetham’s School of Music, Oxford University and the Guildhall School of Music where she studied with Edith Vogel. After leaving Guildhall she was invited back to Chetham’s to join the accompanists’ team at the school. During this period she was also asked to be the official accompanist for the BBC Young Musician of The Year and also for the Aberdeen Festival of Youth. 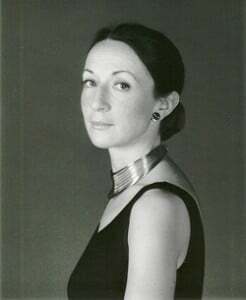 From 1993 until 2006 she was the accompanist at the Yehudi Menuhin School where she accompanied masterclasses given by Yehudi Menuhin, Daniil Schafran, János Starker, Steven Isserlis, Mstislav Rostropovich and András Schiff amongst others. She toured extensively with Menuhin School pupils and it was during this period that she was first invited to accompany at the prestigious Kronberg Cello Festival in Germany. Alison is regularly invited to work at the Royal College of Music in London and was recently asked to be the official accompanist for the String Final Recitals. She is the regular accompanist of Nicola Benedetti with whom she has played for the last nine years and with whom she enjoys a busy touring schedule. 2006 took them twice to Japan, Europe and the USA, as well as many appearances in UK festivals and concert series. Other regular recital partners have included violinists Dora Schwarzberg and Alina Ibragimova, the great French bassist François Rabbath and cellist Leonid Gorokhov. She regularly appears on radio, television and major venues all over the world.